Your Inbox. Your Tasks. United. 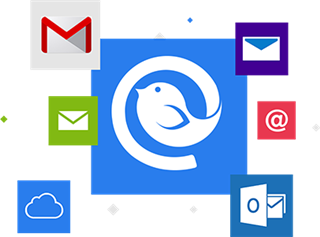 - With Mailbird and Moo.do, you can now link up your tasks directly. - Simply drag your emails into your daily task list, and get to inbox zero in no time, while you organize your tasks easily and conveniently. - Want to quickly see the emails from your task list again? - Simply click the email task, and Mailbird opens it for you. Access the many powerful apps that helps you stay more productive, and integrate your daily communcation with your favorite apps. - Try the Google or Sunrise calendar apps to easily schedule your meetings and combine multiple calendars. - The WhatsApp instant messaging app, allows you to stay connected with your business partners, friends and family easily via Mailbird. - Veeting Rooms app is for business meetings, when you want Swiss hosted secure and encrypted peer-to-peer connection. Includes secure p2p video, chat, whiteboard, and document sharing. Whatsapp & Email. Side by side. - With your WhatsApp stream running in Mailbird, you can easily communicate with people via email and instant messaging at the same time. - Drag and drop attachments from your emails into Whatsapp, to easily share photos, videos and documents. - You can customize the layout to match your preferred way of working. Try it now. Move your mouse over the different layouts below. - Feel at home with your favorite color themes. The whole Mailbird experience adapts to your choice, and you can change as often as you’d like. - Switch seemlessly between trackpad, mouse and touchscreen, as you swipe your way thorugh your inbox. - Works with any laptop and touchscreen or touchpad. Improved Google sync in Contacts app to skip offending entries when encountering parsing errors. Fixed issue with messages reappearing after being moved, for servers where the backing store has changed. Fixed rare third party component license issue. Fixed rare issue with some message bodies never loading.